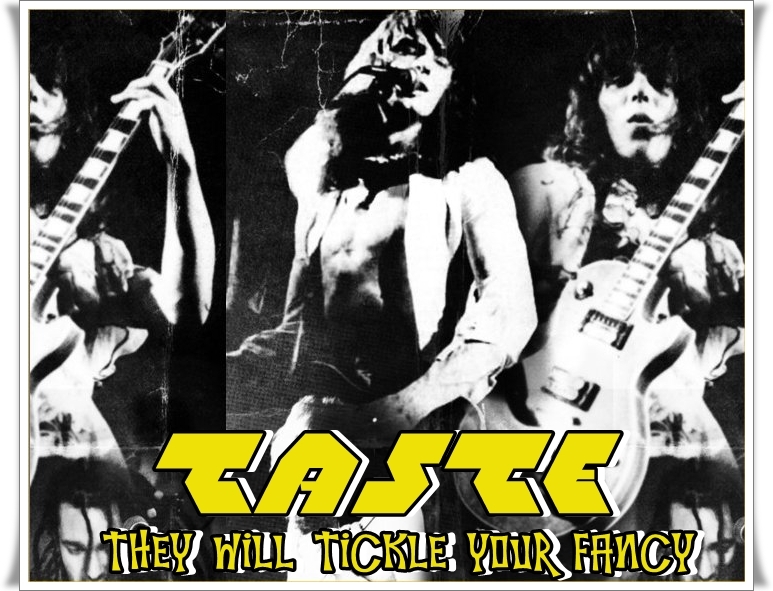 In my humble opinion, Taste were magnificent, and one of the great things about the band was that they had the first "real twin guitar attack" that i'd seen. The whole vibe of the band got me, I saw them on, hmm, probably, on Sounds with Donnie Sutherland...in hindsight they seemed to have had a pop image similar to that of Queen circa "Night at the Opera" which means they were Pomp Rock at its very best- both LP's reached the top twenty in the Australian charts and are absolutely fantastic hard rock classics. 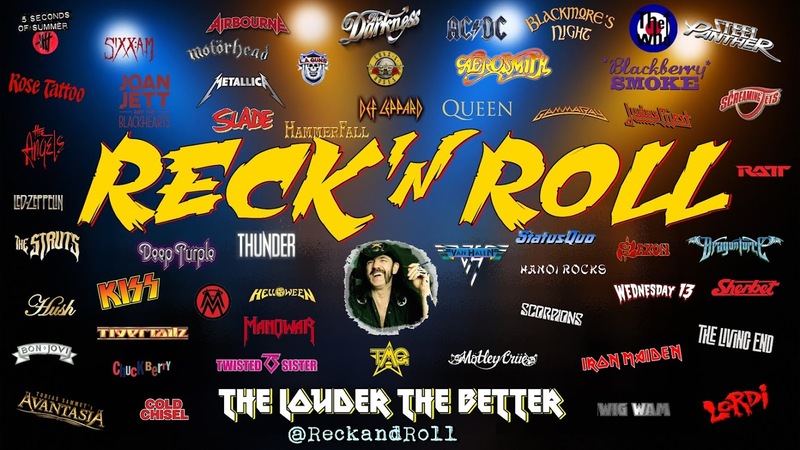 .At the peak of their career they played to crowds as large as 13,000 people and owned 7 Marshall stacks ! They appeared on every major concert and TV show including Countdown, Hey Hey its Saturday, The Don Lane show etc. and toured with Suzi Quatro, The Sweet, Skyhooks, Sherbet, TMG and Hush. Funnily enough Taste were much admired by Brian May and Roger Deacon of Queen and to get ready for a gig Queen played Taste's "Boys will be Boys" every night on tour before they went on stage..hows that for coincidence and or irony..... Unfortunately (and quite regularly in aussie music) due to management problems and bad marketing Taste never achieved the success they deserved. They were asked to tour America with Queen and signed to Sire Records in USA but broke up before releasing anything. Richard Guillianti reviewed the band in December's RAM #48..(remember RAM, great mag and not near as cynical as NME)..anyway its said and I quote,"Taste have been pulling some pretty neat reviews for their LP Tickle Your Fancy and for their new single 'Boys Will Be Boys'. 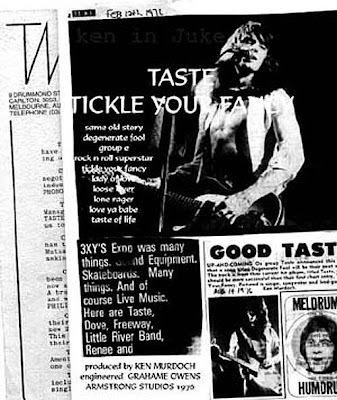 But its not only yer hack cub reporters who've been taking notice of 'em....In Sydney, they performed at the Bondi Lifesaver with none other than Sherbet, the All-Stars, Rockwell T James and Kevin Borich in attendance. Afterwards, (Sherbet's) Tony Mitchell congradulated the group on the 'tightest set he had seen from a band for years'. Adelaide was also good to them, there, they broke the attendance record for one of the dances they played".